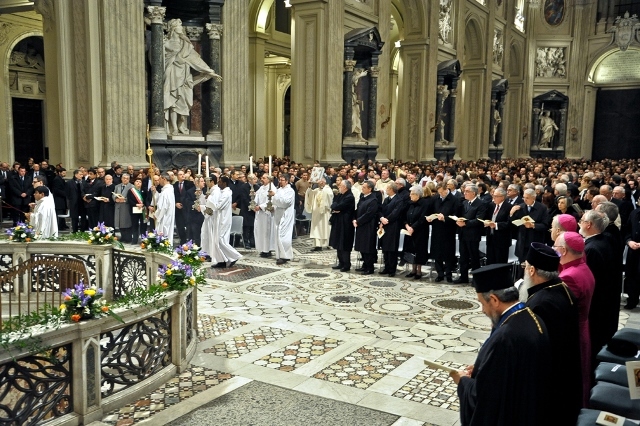 pictures and read the texts that accompanied the celebration, on February 6th, of the 46th anniversary of this lay movement in the cathedral of Rome, San Giovanni in Laterano. Together with whom presiding over the liturgy, mons. Giovanni Angelo Becciu, Substitute at State Secretary, many bishops and other celebrants, as well as a large and various people of friends. The members of the Community and representatives of that world of the needy who also form the family of Sant'Egidio made feast for a long history of faithfulness to the Gospel, of love for the existential outskirts and peace.